Do you need insurance coverage for one or more garbage trucks? We can help. 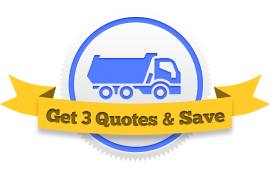 We get you in touch with three agents who understand waste hauling insurance. They compete for your business and you save. Get started now! Along with police officers and fire fighters, garbage collectors work in one of the most dangerous professions in the United States. In fact, solid waste hauling is ranked the third most risky job in America. This shouldn’t come as a surprise to anyone who hauls waste for a living. Sometimes it’s your drivers fault and sometimes it’s not. Impatient drivers have been known to try to cut around slow moving garbage trucks on very narrow streets. Automobile Liability – This coverage protects other people from accidents where you’re at fault. Liability insurance comes with two parts. Bodily Injury – This portion of automotive liability covers physical injury done to others. For example, if a garbage truck strike a pedestrian crossing the street, this insurance pays for their medical rehabilitation. Property Damage – This portion of automotive liability covers damage done to others’ property, like if your garbage hauler hits a parked car. It might be used to pay for repairs to other vehicles. Physical Damage – This coverage protects your waste truck. If you’re in an accident, this coverage will pay for repairs or a replacement vehicle. So if one of your garbage truck drivers swipes into a car parked onto the street, this insurance will pay for any damage done to your truck. Collision Coverage – A type of physical damage insurance, this coverage kicks in after an accident where your waste truck was moving. Comprehensive Coverage – Another type of physical damage insurance, this coverage kicks in after other types of damage occurs. It can cover things like vandalism, fire, theft, or weather damage. Medical Payments – This coverage protects your drivers and any passengers in your waste truck if they’re ever physically harmed. This is an essential coverage for garbage collectors who ride on the back of their trash truck. Uninsured/Underinsured Motorist – If your waste truck is the victim of a collision, and the responsible party doesn’t have liability insurance to compensate you, this coverage kicks in and pays for repairs anyway. It’s easy to get coverage for your waste hauler business. Fill out this form and we connect you with three insurance agents. They each assemble a quote for you and you pick the one that fits your budget.